Bettendorf Heating & Cooling is an HVAC services leader for the LeClaire, IA, area and surrounding region. If you need new air conditioning installation, we can help you select and then install a unit that is ideal for your home's needs. Our technicians can consult with you about the best products available. With new AC installation, you can enjoy reliable interior temperature control from a model designed for superior energy efficiency. 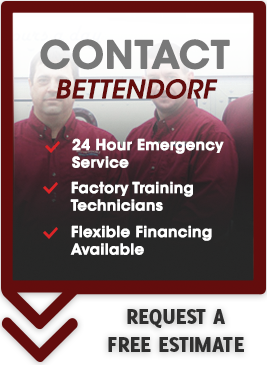 Bettendorf Heating & Cooling provides expert air conditioning installation services for our LeClaire, IA, customers. If your current model is beyond repair or you'd simply prefer to install a new, more energy-efficient model, we can perform all aspects of its installation, including its selection. It's important to choose a model that's just right for your house. A unit that's too large will cost you more than you should be paying to cool your home. A unit that's too small will eventually wear out too soon by trying to maintain your home's cool temperature. Our technicians can talk to you about various products and which ones might be best for your home. The service technicians at Bettendorf Heating & Cooling are certified to provide all of our services, including air conditioning installation. Our technicians are experienced and able to maintain any make or model AC unit or provide air conditioning replacement if you choose. When contracting with us, you can expect upfront information. Our technicians will answer all of your questions and provide you with the information you need to choose an AC model for your home. Bettendorf Heating & Cooling works in and around the LeClaire, IA region. If you need air conditioning replacement, we can help you from start to finish. Talk to us about recommended products and what's best for your home's cooling needs. 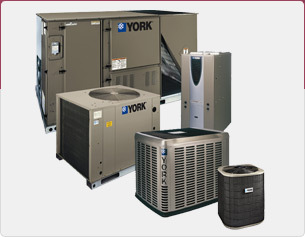 We can provide upfront pricing for AC installation service including products, warranties, and labor. We look forward to including you among our happy and satisfied customers. "Sales with Service ... 24 hours a day" Serving Bettendorf, LeClaire, Davenport, Eldridge, and the surrounding areas in Iowa and Illinois. Copyright © 2019 Bettendorf Heating and Air Conditioning, All Rights Reserved.